We offer stem cell therapy for your pet. This innovative treatment can help with symptoms of arthritis and many other forms of pain. Our veterinarians, Dr. Martin Ramm, Dr. Susan Kyle and Dr. Matt Vipond are among the best veterinarians in the Omaha area and are committed to your pet's health and well being. Rockbrook Animal Clinic excels in pet care and the science of veterinary medicine. Dr. Martin Ramm and the staff at Rockbrook Animal Clinic have provided Omaha compassionate veterinary care and pet services year after year, making us the animal clinic of choice for pet owners in and around the Omaha community. Read our petsimonials to meet some of our beloved animal friends. Rockbrook Animal Clinic is a full-service animal clinic whose mission is to provide the highest standard of veterinary care for pets. We genuinely care about your pets and all animals! Our staff is passionate about veterinary medicine and are extremely well trained. We strive to provide professional, affordable, and advanced veterinary services. At Rockbrook Animal Clinic, you will walk into a calm, welcoming, and friendly environment every visit, so that the experience is as comfortable as possible for you and your pet. Relieving pain and improving quality of life for our patients is our top priority. To this goal, we offer the most advanced pain management options available including medical management, acupuncture and laser therapy treatments to keep your pet comfortable. 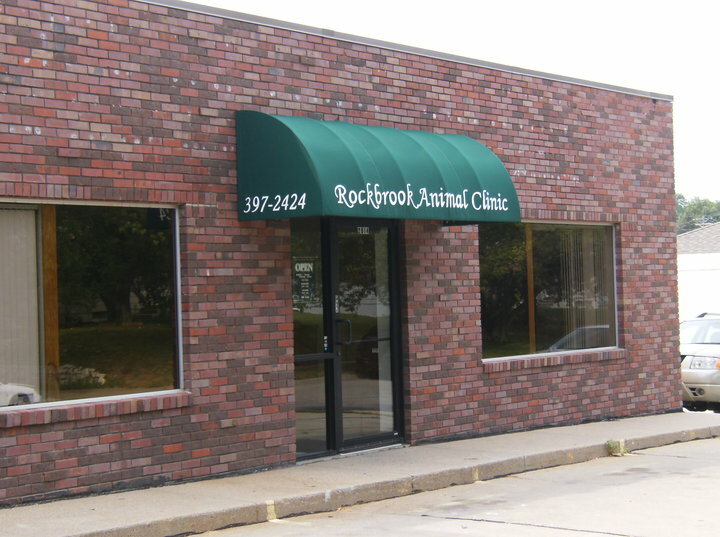 Rockbrook Animal Clinic offers the Omaha community preventative medicine, medical, surgical, and dental services. If you are new to our website, please browse around to learn about our facility and to read interesting pet articles and watch groundbreaking pet videos. For directions to our office see our contact us page. To receive free monthly veterinary care articles, please subscribe to our newsletter. Remember, at Rockbrook Animal Clinic, your pets are our family!